Join us for an information session with guest speaker Warren Jackson, Vice President, Finance and Consulting for BDC. He will be covering the major forces affecting entrepreneurs - labor shortage and the importance of Technology/Digitization. Warren Jackson, Vice President, Financing & Consulting for BDC, is located in the Saskatoon Business Centre, and is responsible for the operations of all the business centres within the province of Saskatchewan. He currently oversees a team of 35 people, all with a mindset of helping entrepreneurs be the most competitive they can be. Warren joined the BDC in 1997, in Saskatoon. 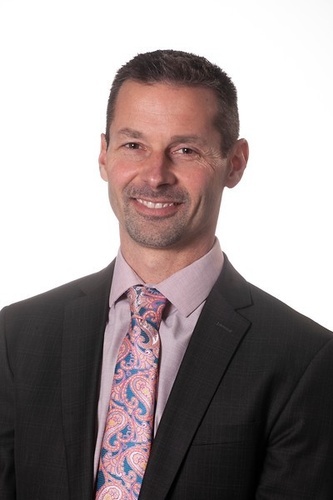 In his 20+ years with BDC, he has spent some time in other areas, most notably Edmonton for 5 years, but returned to his home province of Saskatchewan. Warren attended the University of Saskatchewan and holds two degrees, Bachelor of Arts & Science with a major in Math & Economics, and also a Bachelor of Commerce.